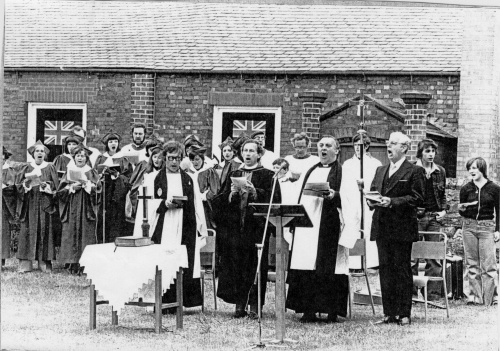 This outdoor service was held on Stafford Orchard and is thought to be a celebration service for the 1977 Jubilee. The old St Bartholomew's Primary School can be seen in the background. The Reverend Patrick Revell is officiating. Missing information: We need more information about this event. Can you help?